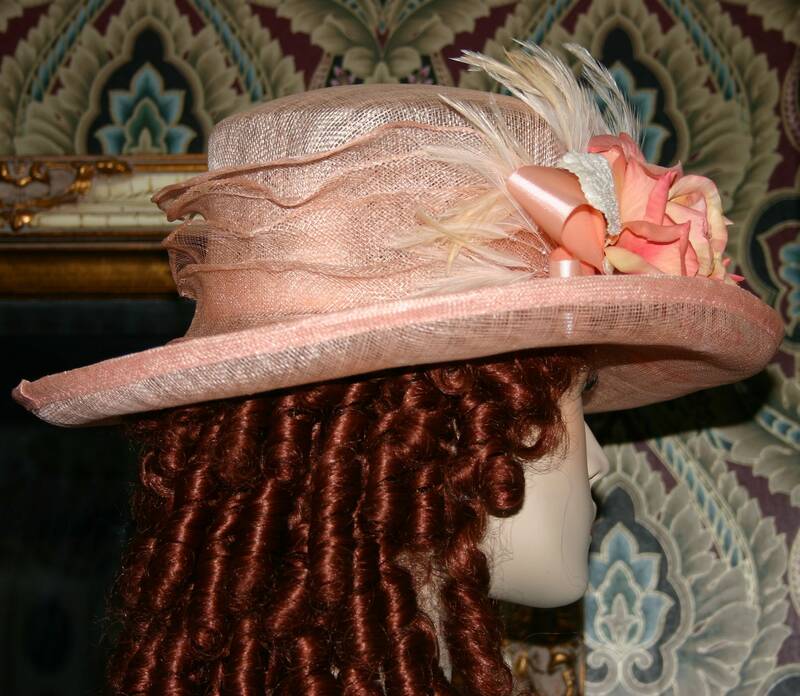 Edwardian Hat "Miss Betty" is perfect for your Downton Abbey tea party or church! 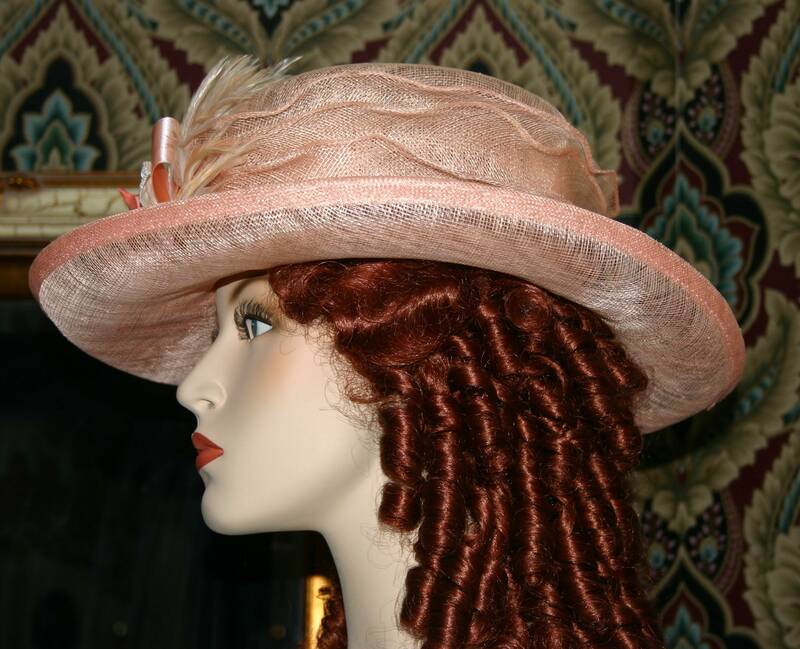 It's designed over a peach sinamay base. The hat band is also sinamay. 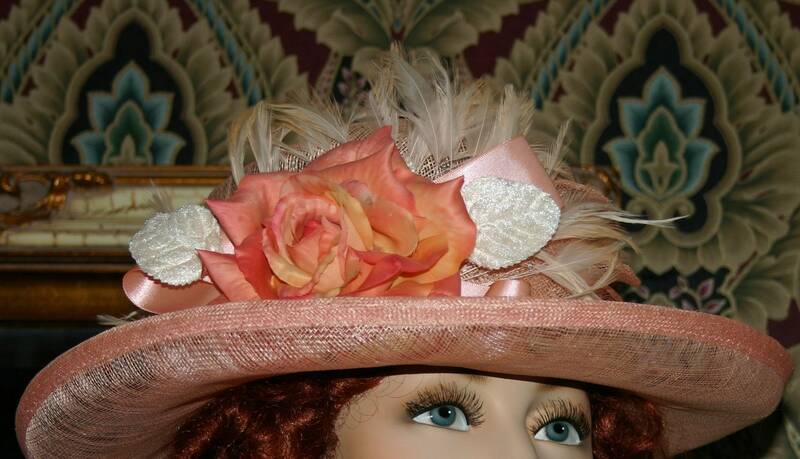 A beautiful yellow English linen rose with touches of peach accent the side of the hat. 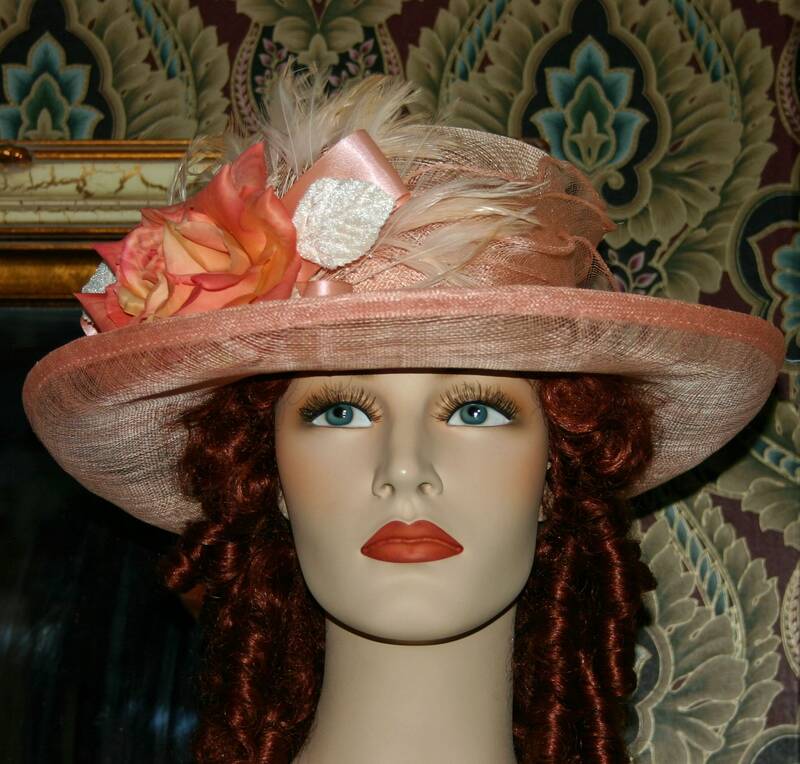 Ivory velvet leaves accent the rose and the adornment is set upon a backdrop of peach satin ribbons and dainty petite ivory coque feathers. 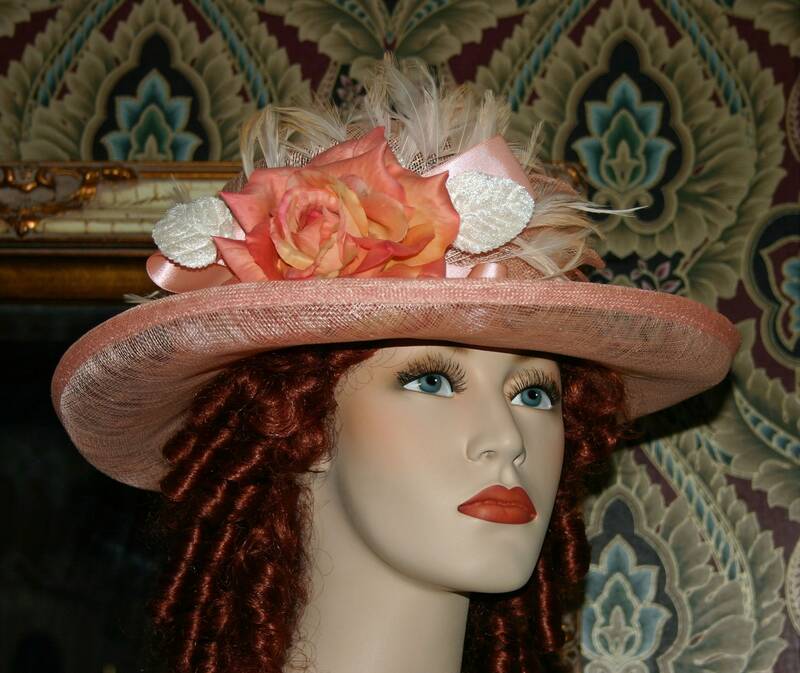 This hat would be perfect for church, wedding, Easter and even Kentucky Derby!